This week, courtesy of a new Nintendo Direct, Nintendo dumped a metric ton of Super Smash. Bros. Ultimate reveals, information, and media that momentarily took the Internet by storm. And if your brain wasn’t already overloaded and flooded with Super Smash. Bros Ultimate, it’s about to be. Spanish YouTuber, smashbrosspain, released a thorough and extensive video that featured every alternate costume for every fighter in the game. Unfortunately, the video got taken down not longer after going up. Why this happened, is unclear, but it likely had something to do with Nintendo copyright. Fortunately, another YouTuber, by the name of AmuroRed, has uploaded a mirror of the video. With a roster as big as Super Smash Bros. 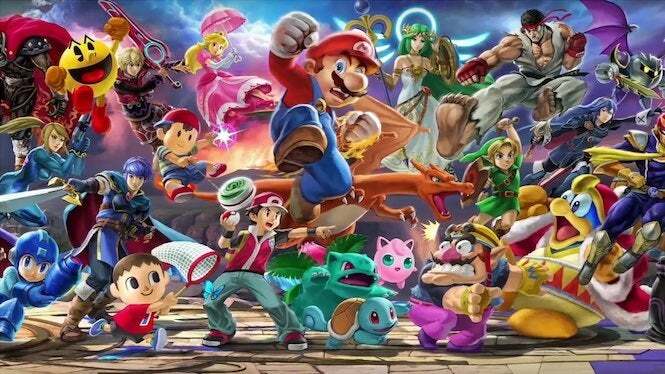 Ultimate — which includes every previous fighter in the series, as well as many new fighters — there is a ton of alternate costumes to check out as a result. Interestingly, the video reveals a few interesting tidbits, such as the odd removal of Black Yoshi. Further, there’s no Tuxedo Bowser, which just flat out makes me sad. Luckily, to make the former loss easier to deal with is the addition of an absolutely adorable Yarn Yoshi. I’m no fan of Yoshi — who’s meant to be ridden and then disposed of — but even I can get down with a Yarn version of the green dino. It remains to be seen whether or not Nintendo will release any additional alternate costumes via DLC. At the moment of writing this, it hasn’t mentioned any plans to do so. Super Smash Bros. Ultimate is poised to release later this year on December 7, exclusively via the Nintendo Switch. For more news, information, and media on the highly-anticipated platform fighter, be sure to take a gander at all of our previous coverage of the game by clicking here. That way you’re ready and caught up to date the next time Nintendo decides to make it national Super Smash Bros. week and release another info dump. And of course, feel free to leave a comment in the comments section letting us know what you think of the new alternate costumes. What one is your favorite? Are there any glaring misses (other than Tuxedo Bowser, of course).